Energy market today is looking for ways to go green and be efficient. “Sustainability” became the buzzer word for new contended businesses. The topics that are capturing the minds of millennials are “climate change”, “energy efficiency”, “industrial revolution” and “smart building”. Public and private players are looking for energy tracking, paying attention to the high potential of Energy Management System (EMS). That attention is going to result in market growth year by year. The global EMS market is expected to grow by 17.3% until 2022. By 2023, the Building Energy Management System (BEMS) market is forecast to exceed $6 billion. Home Energy Management System (HEMS) users will reach 63 million by 2020. What’s encouraging the growth? There are many different answers. First of all, now more than ever the government attention is focused on this topic. As increasing campaigns are promoted, national coverage of energy management jumps. And more energy players and leaders in the market are listening and leading the way for an energy efficiency shift. The costs to manage buildings and produce products are increasing. Businesses are experiencing that energy saving is the best way to cut costs. So, they’re looking into EMS. Large corporations and buildings owners will be able to monitor and easily manage their energy consumptions, identifying inefficiencies in their companies and tracking several locations at once, in order to achieve efficiency goals by using advanced energy usage’ predictive techniques. Energy market today is looking for ways to go green and be efficient. As an added value, BEMS are growing to integrate with renewable energy solutions. 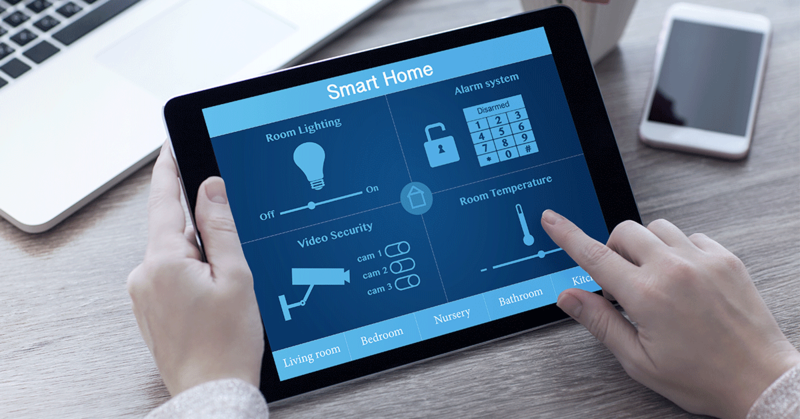 The concept of a “smart home” is steadily becoming a norm in daily living. Moreover, there is an increased consumers awareness regarding the benefits associated with EMS solutions. Homeowners, especially in the developed and developing countries, are already moving toward efficiency. Many of them are replacing the old equipment, adopting the latest solutions to reduce the overall energy expenses; some are still wary of smart technology, but they’re willing to give it a try. This is further boosting the growth of global EMS market. Also, Internet of Things (IoT) tech is catching on, and spreading into every market. Cloud technology and Big Data are changing the way we leverage data. Real time reporting and analysis help to react faster and take preventive actions for best results. Lots of people are recognizing the profits of the technology. The Internet of Things has significantly gained some traction in past few years in the building energy management system market. Low cost sensors, gateways, IoT controllers and secure communication networks are developed and built for business improvement. The best way to cut down the operating costs is to consume less energy. Moreover, many tech giants and electronics companies are collaborating in order to lead the energy management market and to explore the untapped market opportunities. The emergence of the IoT has brought the EMS market to evolve from a reactive market to a predictive one, which employs data analytics, AI and predictive modelling. By 2020, 30% of EMS solutions will be based on an Internet of things platform integrated with a workplace management system. Most of EMS software enable building owners and occupiers to track, manage and forecast their energy consumption across their entire buildings and/or campus, with the final results of: reducing costs, satisfying government requirements and meeting sustainability targets. The market trends have transitioned from gathering energy data to helping Infrastructure & Operations leaders understanding their peaks in energy demand and employing IoT platforms that can use artificial intelligence to create predictive models that not only manage the energy consumption, but also help to improve a company’s operational efficiency. In this way the EMS platform will be able to prescribe potential solutions if the system is not operating properly, if it needs maintenance or if the system is close to failure. That’s why IoT platforms will lead and shape the EMS space in the next future. Most of building energy management system market players focus on HVAC equipment (heating, ventilation and air conditioning) to reduce the unnecessary energy consumptions. The intelligent HVAC control system utilizes IoT sensors to remotely monitor and control HVAC systems from any mobile device. 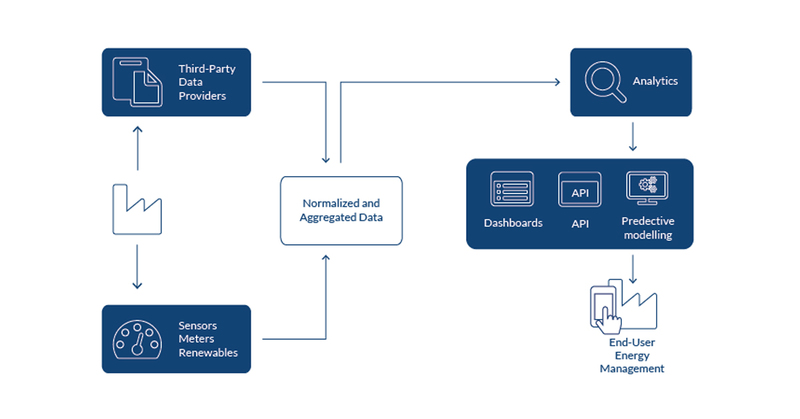 Also, many EMS platforms collect weather data and then use both historical and daily energy usage data to create a model of what the energy demand will be the day after. With automation in place, homeowners can decide which part of the house can be powered by solar, home battery or electricity. Managing the energy sources in a smart and automated way, homes will be able to monitor and adjust heating, water and lights without human assistance, making informed decisions with the guidance and through the settings of the homeowner. Big Data and IoT, analytics, dashboards, AI, predictive modelling are enabling EMS companies to develop platforms that can collect, analyse and react to data in real time. These IoT-based platforms have the potential to enable all Infrastructure & Operations leaders to proactively manage their companies’ buildings energy envelope, improving ROI and sustainability and making facilities and maintenance team more reactive and productive. WiSNAM, with more than 10 years of experience in electronic measures and sensor networks for renewables management, building management and of Industry, represents the BaxEnergy IoT Division, which provides smart solutions for energy and workplace management. The company designs sensors for large scale applications, with open communication to any protocol, highly adaptable to different environments, capable to collect data from any virtually device with possibility to analyse large data set. WiSNAM Infinity Building solution for smart building includes Smart IoT sensors designed to enhance workplace quality and functionality, enabling occupancy sensing, air quality and light control, thus optimizing the workplace usage and improving the quality of life. Digitize processes and manage resources and space in a cost-efficient way. Reduce your environmental impact and save energy waste thanks to an intelligent air, temperature and lights control. Reduce your real-estate costs, by increasing workspace utilization thanks to real-time occupancy data. Monitor and optimise how workspaces are used on an hourly, daily, weekly and monthly basis. 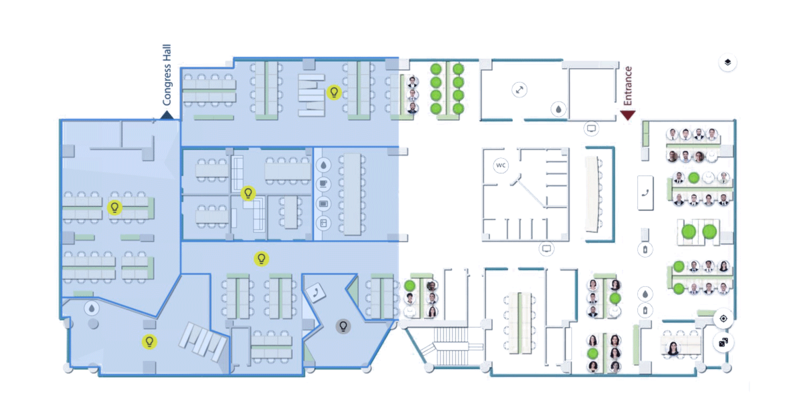 Unlock the true value of an interconnected workforce within a collaborative and open environment, easily searching and finding colleagues, available desks and meeting rooms via web browser or mobile application. Create a dynamic workplace for your team to think creatively and work more productively. Seed an idea and make it grow immediately by innovating the way people work and increasing motivation and satisfaction. The market will continue to see growth and new needs will come out. We have to keep trying to find ways to be efficient and positively impacted by the daily Digital Transformation. Now that we have realized what is possible to do, we can’t stand back!